Finding the right temperature is the hardest thing about Otumuheke Stream located about 30 minutes out of Taupo. 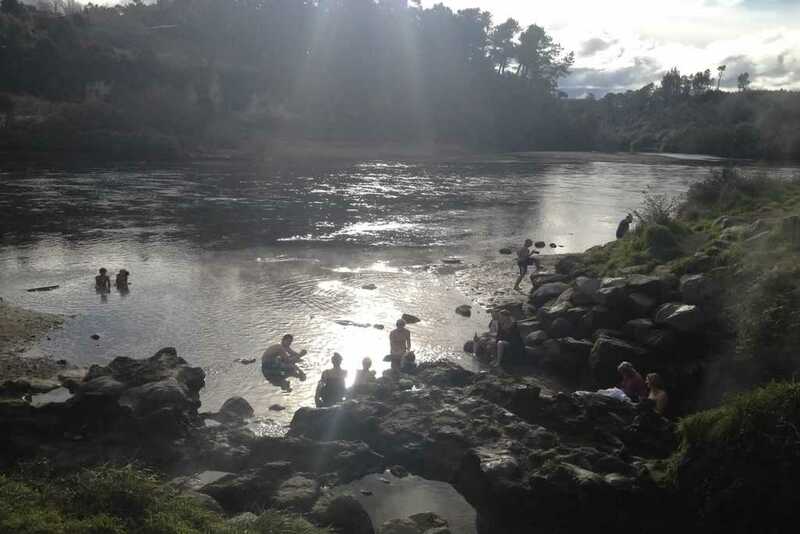 The natural hot pools have a hot stream with mini waterfalls that flow into the Waikato River but once you find the ideal temperature it is a very relaxing and cheap experience. Just out of Rotorua, 1.8km south of Reperoa is Butchers pool hot spring that is free of charge. The pool is filled from hot and cold internal blue mineral springs and the water is continually renewing and cleaning itself. It is maintained by the council and there are toilets and changing rooms also provided there. 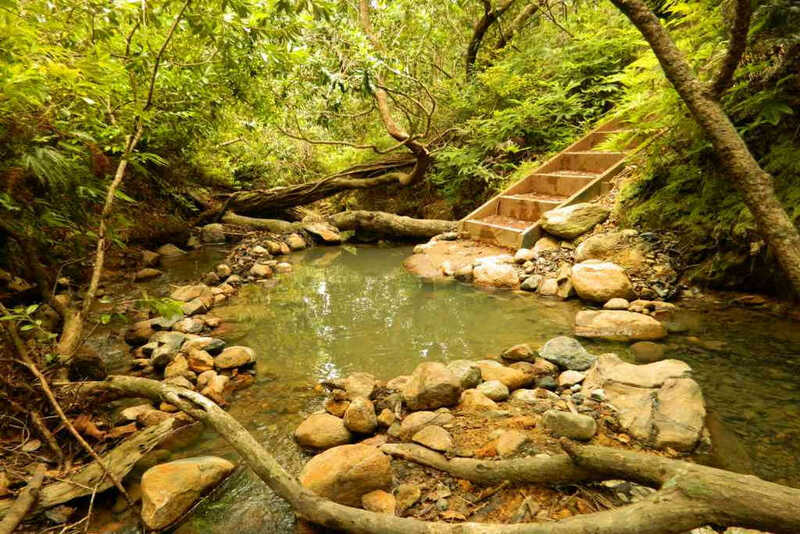 Located on Great Barrier Island and about a 8km easy going walk along the Kaitoke Swamp you will find yourself at the spectacular hot springs. The hot springs are natural and sulphuric with a series of pools that have had no man-made changes. The main pool is shallow but you will find deeper and hotter pools further upstream. To get to this hot pool it takes a bit more effort and time but it's all worth it when you are surrounded by snowcapped mountains and native fores. Copland River 20km south of Fox Glacier really has some of the best views in the country and you need to check it out for yourself! The effort is worth a 7 hour, 18km trek on the Copland Trek but it is only a few minutes from the DOC hut and campsite. 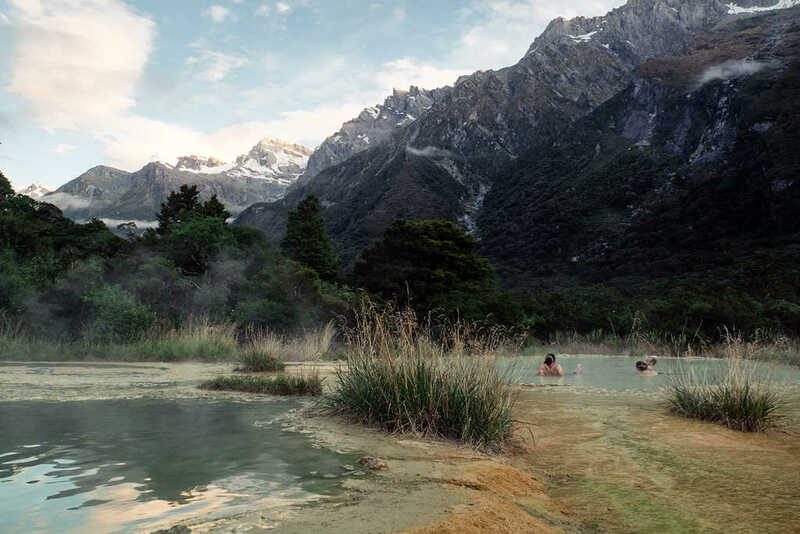 Soak up the natural landscapes of rocks, forests and mountains at the Hamner Springs Thermal Pools, 90 minutes from Christchurch. With so many pools to choose from, from relaxing rock pools, sulphur pools and kids pools you won’t be able to get enough and might even end up spending the whole day there! On Lewis Pass Highway, two and a half hours drive West of Christchurch you can find the 100% natural mineral water, Maruia Springs. 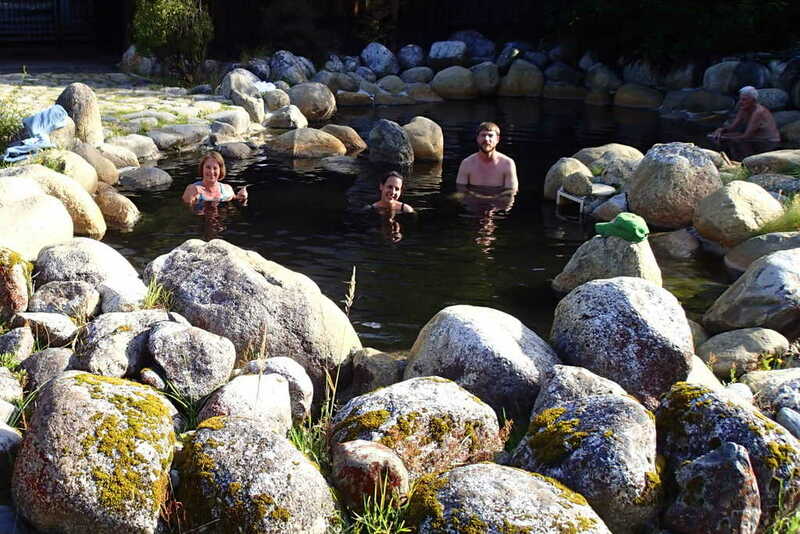 With the nearby sound of the flowing river and surrounding views of the Southern alps you can soak in a rock pool or you can enjoy sitting underneath the waterfall.